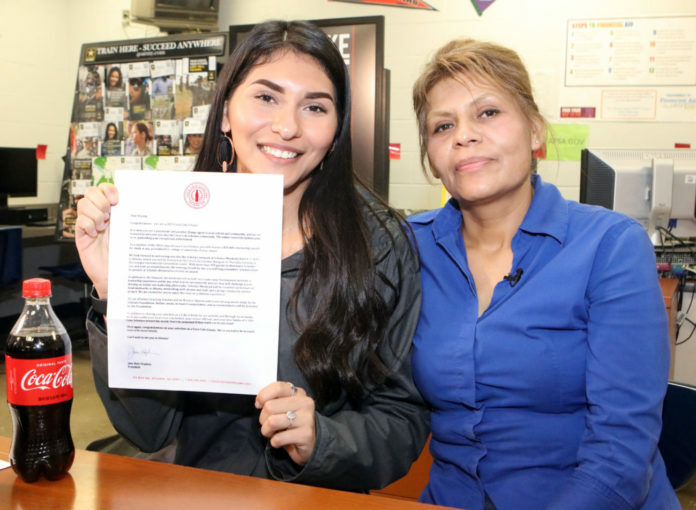 EDINBURG — The Coca-Cola Scholars Foundation recently awarded a student from the Edinburg School District a $20,000 college scholarship and made the announcement during a special surprise event at Edinburg High School. The foundation selected a few scholars for a video they were creating for the upcoming Scholars Banquet in April. Rodriguez plans to receive a bachelor’s degree in biomedical science from Texas A&M and pursue a career in the field of nursing. She is currently enrolled at South Texas College as part of the district’s dual enrollment program and is also in the Advanced Placement (AP) program. She is a member of several organizations, including the National Honor Society, Key Club, English Honor Society, Avid Club, Science Honor Society and the Wrestling Club. According to Coca-Cola, 150 high school seniors were selected from an initial pool of 95,715 applications from across the country based on their academic excellence, leadership, and service demonstrated in school and community activities as part of a three-stage selection process. A joint effort of Coca-Cola bottlers across the United States and The Coca‑Cola Company, the Coca‑Cola Scholars Program is one of the largest corporate-sponsored, achievement-based scholarship programs of its kind. With the addition of the 2019 class, the Coca-Cola Scholars Foundation will have provided more than 6,300 Coke Scholars nationwide with more than $69 million in scholarships over the course of 31 years. The 31st class of Scholars alone will collectively be awarded $3.1 million in scholarships. In addition to receiving college scholarships, Coca-Cola Scholars will come to Atlanta April 4-7 for Scholars Weekend, where they will serve as the guests of honor at a celebratory banquet, participate in a leadership development curriculum, and be welcomed into a vibrant and growing family of alumni that have become a powerful force for positive change in the world. Through networking, collaborations, and friendships, the group strives to make a greater impact together.